Great leaders lift up the people around them. They help employees harness their natural abilities, guide the development of their skills, and support them along an internal career path. Nurturing team members has many payoffs. Staff members stay dedicated to the company and its mission; employee retention remains high; and in time, the organization gains its next generation of leaders. Unfortunately, the persistent talent shortage across the globe is undermining these efforts. There continue to be more jobs than qualified people to fill them. Further, this talent shortage is delaying promotions, which keeps people stuck in their current jobs because they’re the only ones who can do that job. Even when there’s a career path for them, talented employees can’t advance in their own company; they can’t step up because there’s simply no one available to take their place. You can solve this problem by creating a rising tide of talent available to your organization. Instead of focusing on succession plans that fail for lack of qualified successors, developing a continuous influx of top talent expedites advancement and elevates careers at all levels in your organization. 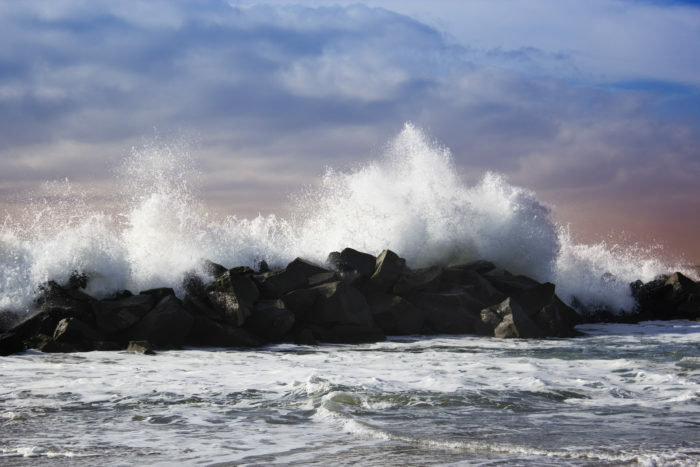 How can you create a rising tide of talent? By ensuring your organization maintains a wealth of quality people. Talented employees who do outstanding work are the secret ingredients that make a company great. Sustaining a full complement of good employees fuels succession plans and helps you maintain a competitive advantage. Just as there are levels of personal wealth, so too are there levels of talent wealth within all companies. The departments in your organization are either talent rich, talent poor, or hover somewhere in between. Understanding the current level of talent wealth is important. Read the following descriptions and share them with your organization’s department heads. Work together to determine which description best describes the current ranking of each department. Talent rich departments employ mostly above-average people, many of who are top talent in their fields of expertise. These people consistently do high quality work, often exceeding expectations and beating deadlines. Numerous advancement opportunities are almost always filled from within, creating new job opportunities. These jobs are filled quickly from a pipeline filled with high-quality job candidates. Talent strong departments employ people who are at least average at what they do. Some of these employees are the top talent in their fields of expertise. They do quality work that meets expectations and deadlines. Advancement opportunities are frequently filled from within, creating new job opportunities. Some open jobs are filled quickly from a pipeline of talent. Other jobs take longer to fill, delaying promotions until new employees are found. Talent stable departments have a mixture of average and below-average performers. Just a few, if any, employees would be designated as top talent. The performance of these employees is typically adequate, although they can struggle to meet expectations and deadlines. Advancement opportunities, when they occur, are sometimes filled from within. When jobs become open, it usually takes days to fill some of them, weeks or months to fill the rest. Promotions are often delayed or even cancelled when backfilling a role takes too long. Talent poor departments employ a significant number of below-average performers, along with a handful of people who could be considered average in their roles. Rarely is there anyone on the team who could be considered top talent. Job performance is usually mediocre at best. Deadlines are often missed and expectations are rarely exceeded. Advancement opportunities are rare, prompting people to leave for other positions. When jobs open, it takes weeks or months to fill them. Talent-rich businesses thrive while others struggle. Maintaining high talent wealth throughout your company must be a top priority to ensure its success. Each department should work to improve its talent wealth ranking (or maintain the talent rich level if that has already been achieved). You can help by supporting department heads in filling open jobs quickly and replacing subpar performers with quality hires. Work together with each department to set a goal and a deadline for this improvement, such as raising the current ranking one level or more by the end of the next business quarter. The flow of talent in your organization will determine its future, lifting careers or sinking them, including your own. Support your company in hiring exceptional people who have a path that elevates their careers and yours. Build and maintain a wealth of talent that makes your organization an unstoppable force in the marketplace.